"The blueberry capital of the world"
If you're interested in knowing more about a place named after one fruit yet proudly calling itself the world capital of another fruit, have I got a town in Maine for you. Does irony exist in rural Maine? Is there a hidden camera located next to the 'Welcome to Historic Cherryfield, Blueberry Capital of the World' sign that captures the confused looks of tourists, perhaps lost trying to find Bangor so they can see Stephen King's house? Are pictures taken from that hidden camera used to keep Cherryfield townsfolk entertained during the long, cold, snowy, windy, endless nights of wintertime Maine? Likely the locals will never tell, or say a quick 'ayup' and amble over to the other side of the street. See the town description and map and decide for yourself if you want to find out. 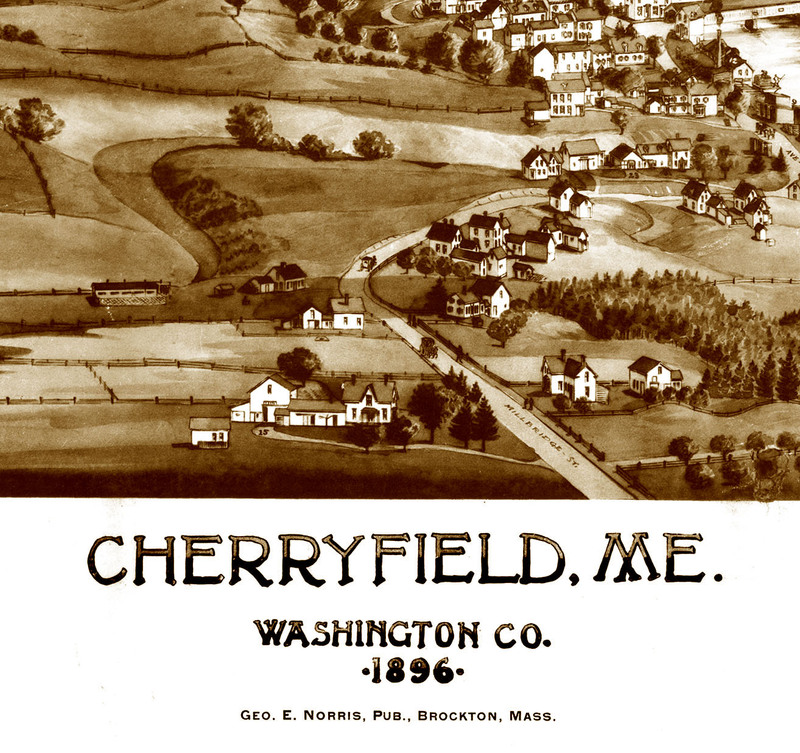 "Cherryfield is a town in Washington County, Maine, on the Narraguagas River. It was named for the wild cherries that once peppered the banks of the river. The town population was 1,232 at the 2010 census. The town bills itself as the "Blueberry Capital of the World". Roughly 75 acres on both sides of the river are a historic district on the Nation Register of History Sties known as the Cherryfield Historic District. This district comprises a collection of period structures dating from 1750-1890. The town was first settled about 1760, and was originally part of the town of Steuben."